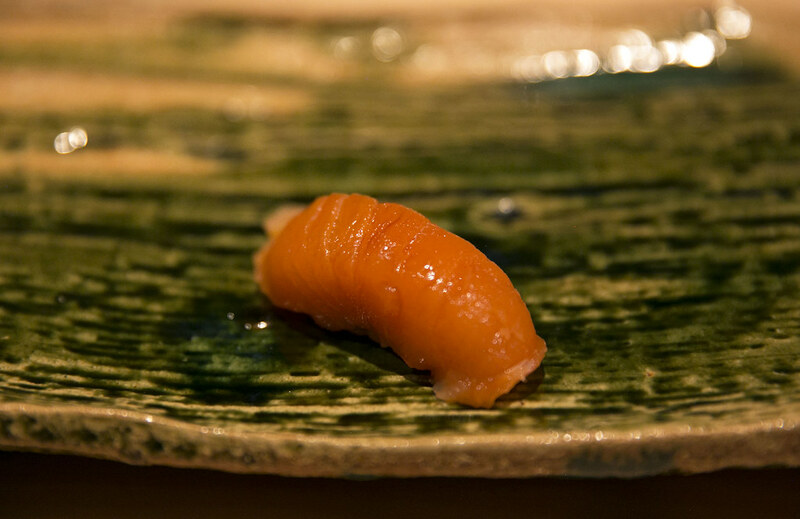 Sushi Yoshizumi is by far one of the most authentic sushi restaurants in the Bay Area. The restaurant just received a star from Michelin Guide this year. And due to their limited seating each night, their reservations were mostly full 2-3 months in advance. 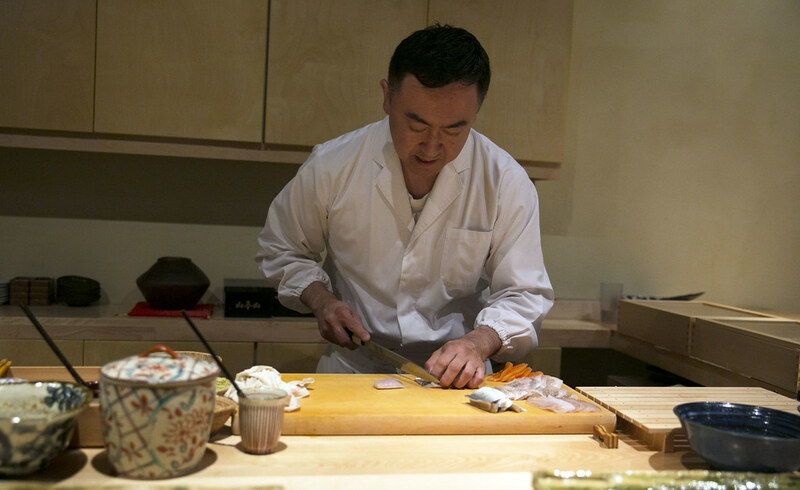 That's why I was very exciting to try out Yoshizumi-san's sushi! 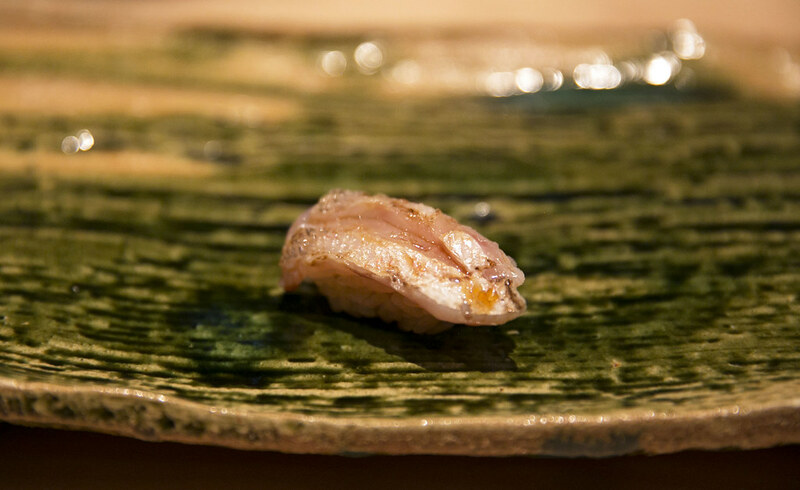 For this review, I am having the "YOHEI OMAKASE" which includes several appetizers, 10+ nigiri sushi, and dessert. 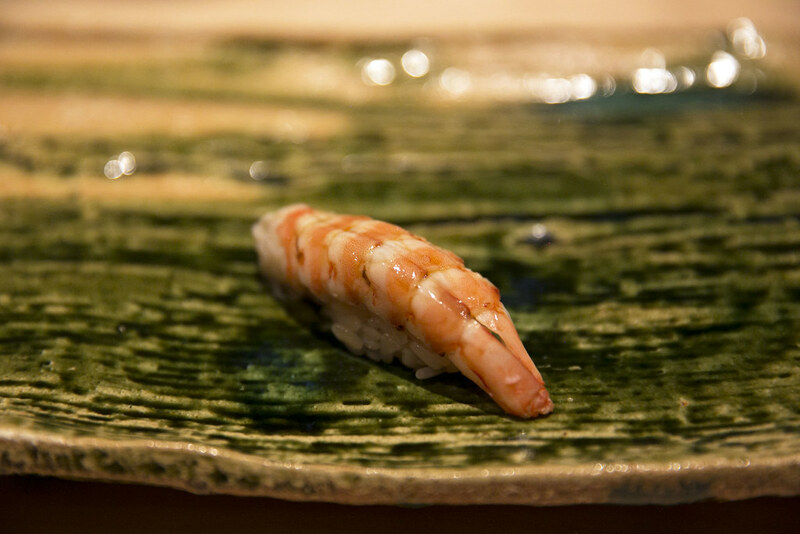 For this sushi-ya, they serve you a small rowed up towel, which is for cleaning your fingers each time you pick up a sushi. 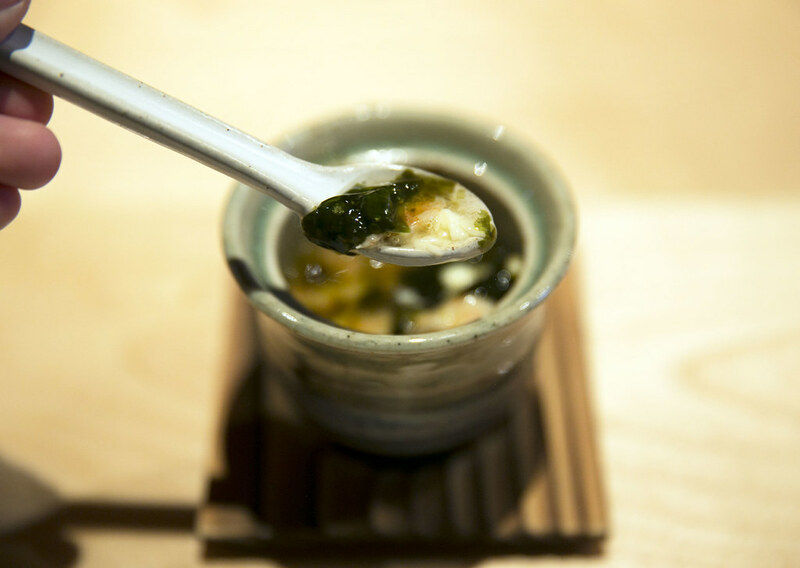 Otherwise, use the chopsticks for appetizers, small dishes, etc. Overall, the meal was excellent. 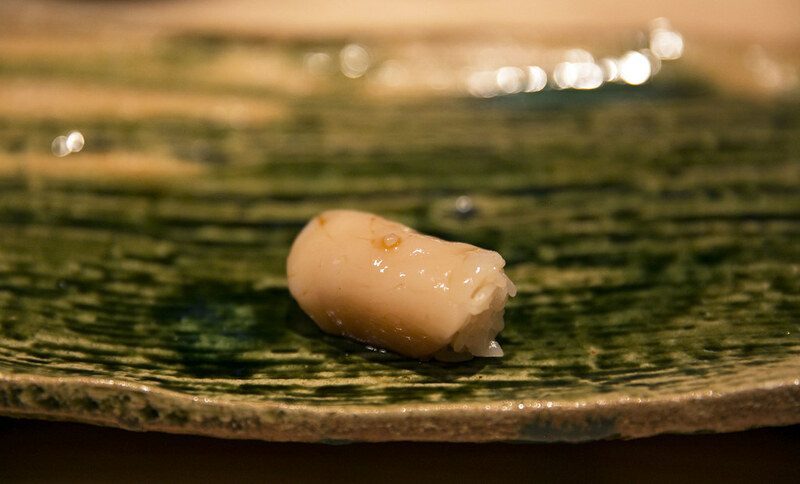 My favorite appetizer dish was the cod fillet, which was very tender and delicious! 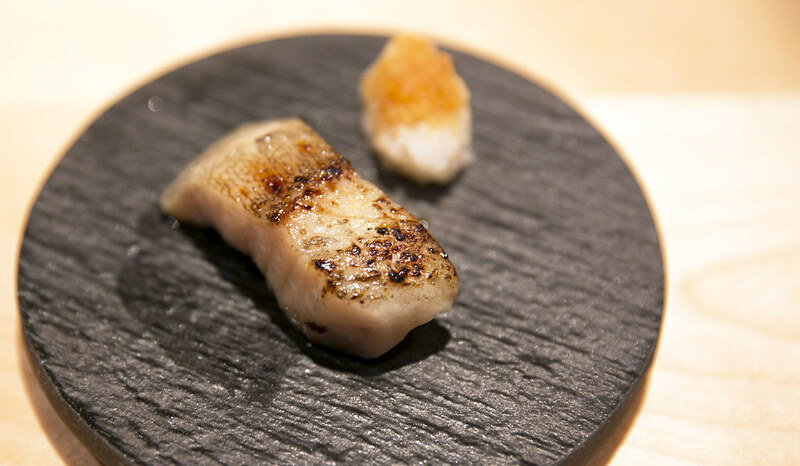 Even though it was only seasoned lightly, the cod is just spectacular with or without the grated daikon. 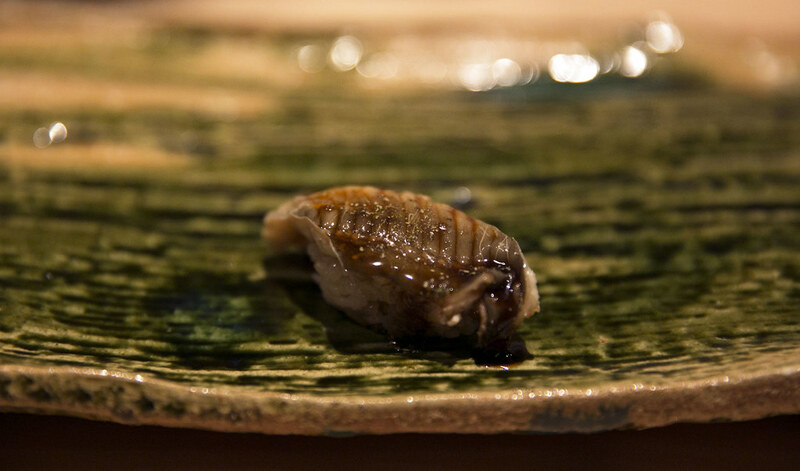 Monkfish liver, octopus, and mantis shrimp also feels the same way. 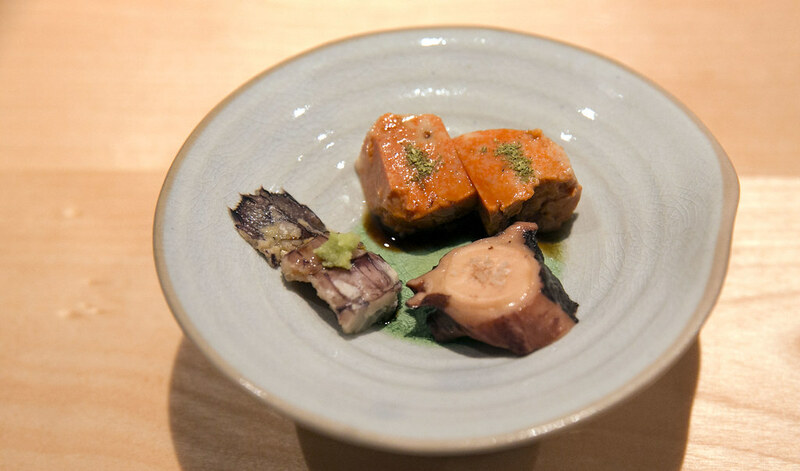 Monkfish liver in particular surprised me because I always expect at least a little bit of fishiness in intestine/organ dishes, BUT the liver is just soft and easy to go down. It is delicious and light with no aftertaste. 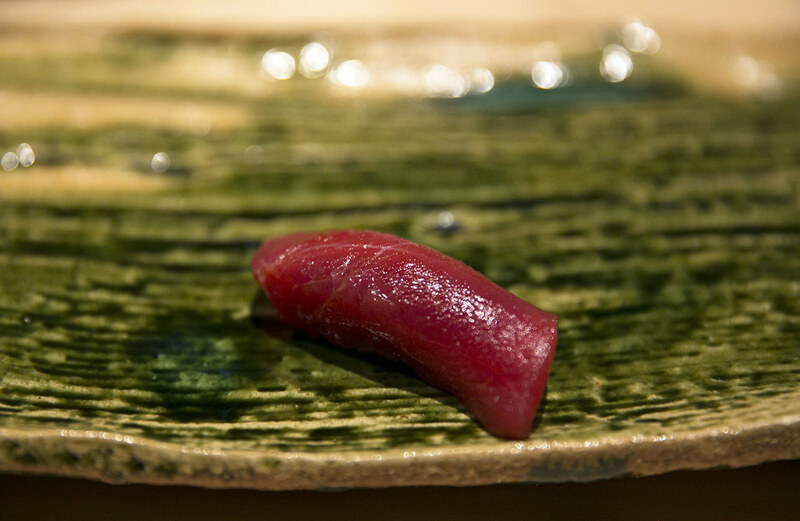 For sushi, o-toro is the star! 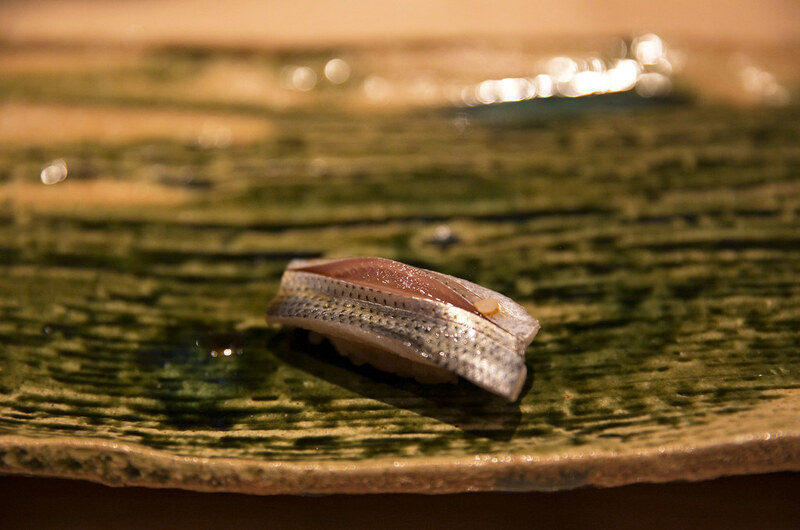 One bite of this fattiest part of the tuna belly just feels heavenly. It has a conflicting taste: both heavy and light at the same time. 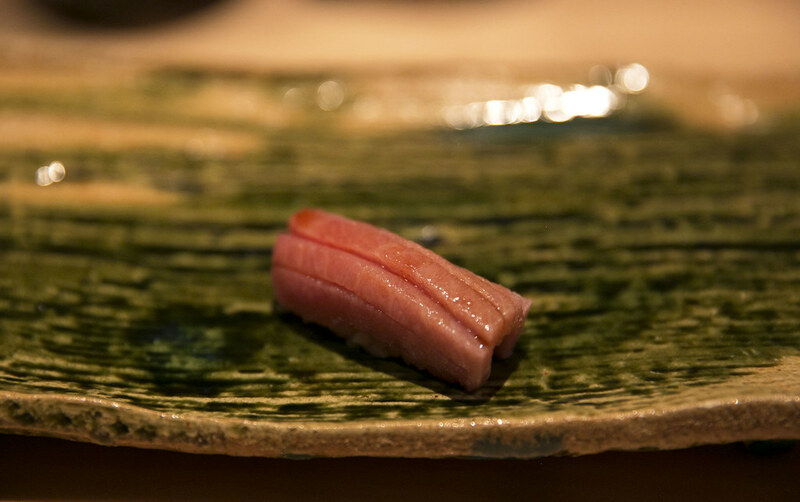 Since o-toro contains the highest fat content, it is naturally rich and flavorful. 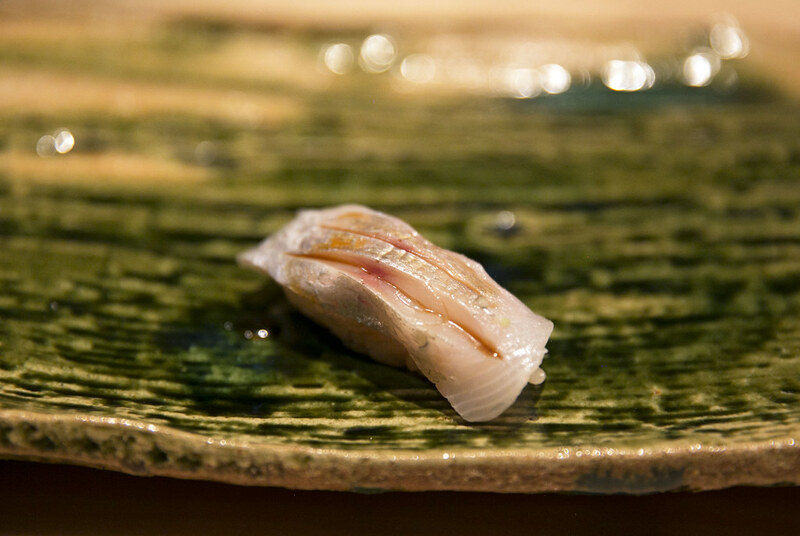 However, that is why it is also not seasoned, which makes the fish feels light too. The great part is it melts in your mouth! 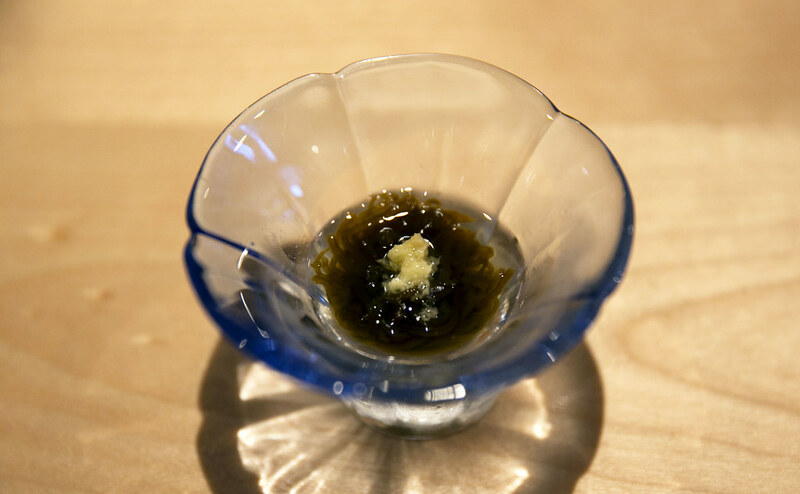 Tamago (egg) is usually the one dish that differs one sushi-ya from another because it is the dish that sushi chef gets to show their skill. 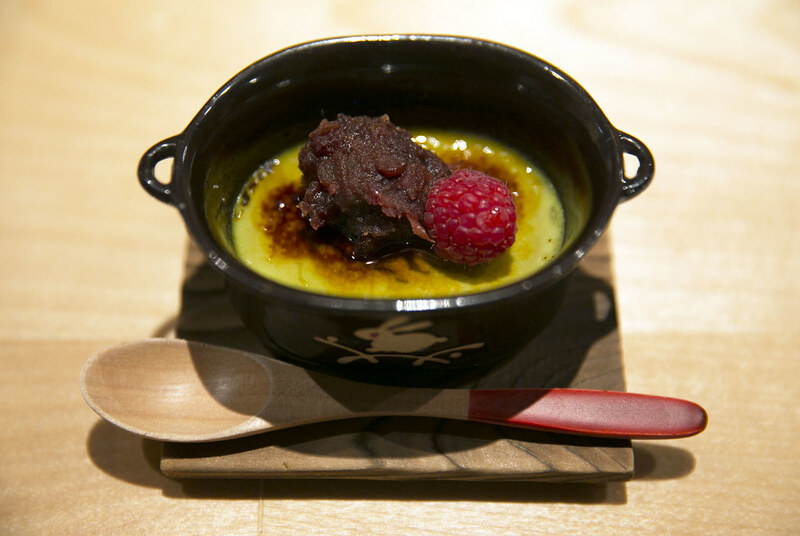 In this case, Yoshizumi's tamago is the cake type. It is moist like a condensed cake. 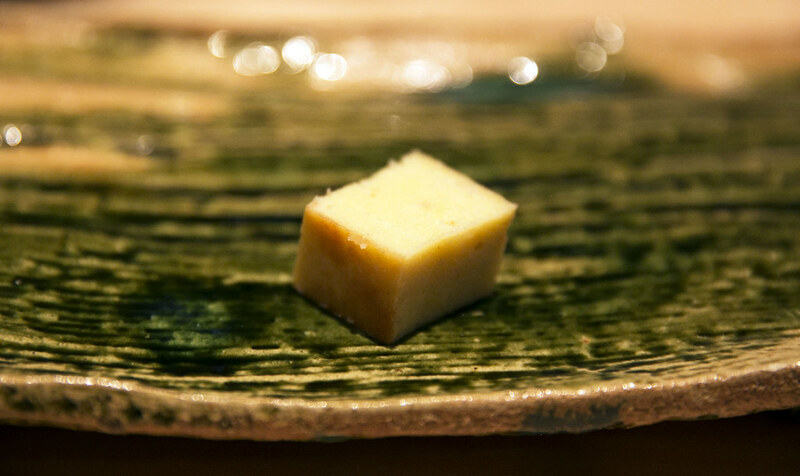 I got to admit, after eating the common type of tamago-yaki (layered egg omelette type) I can't quite adjust myself to love the cake type yet, but it definitely makes me question if Chef Yoshizumi made his tamago through a skillet pan just like Jiro? 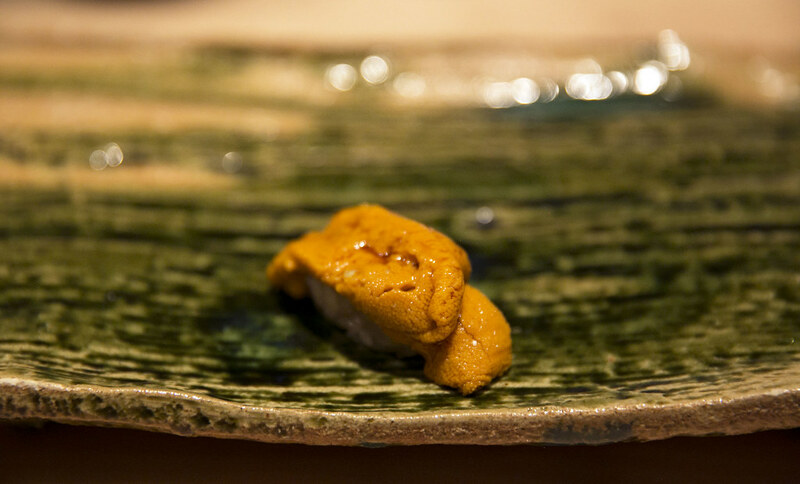 Watch a quite video below of how Sukiyabashi Jiro (3-Michelin-star) makes their tamago! 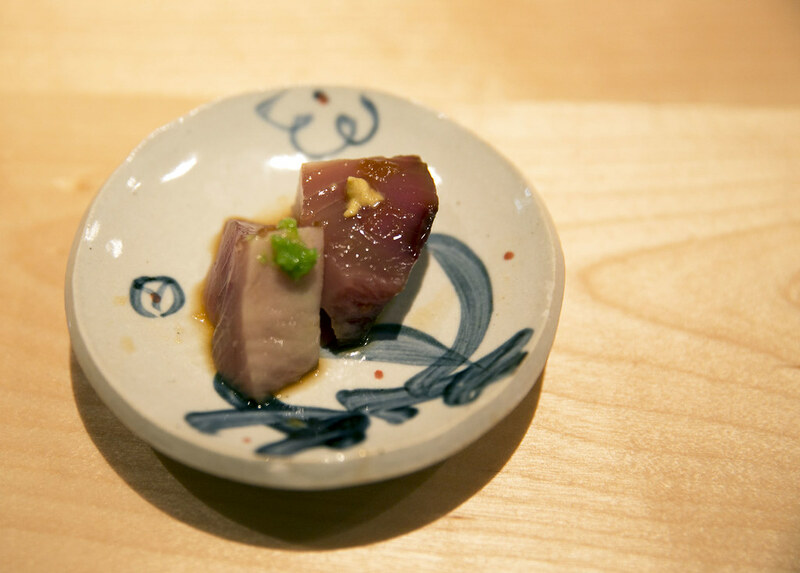 If you don't eat raw, this place will not be suitable for you because more than half of the meal contains raw fish. 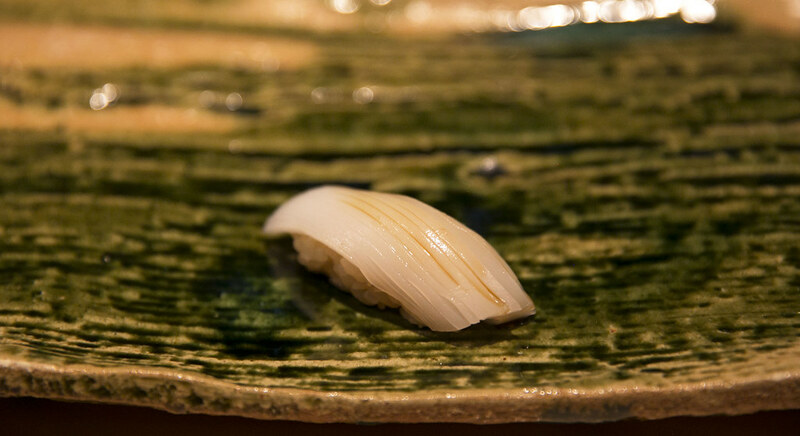 You can try to contact the restaurant and ask about your special requests or allergies. If you are interested in reserving this restaurant, it could be quite difficult because it is already fully booked in the next 2 months. If you get lucky you might be able to reserve it when someone just cancelled their booking. Nice! I hope you can get a reservation when you are here! Thank you! :) They taste very good too! The pictures of the food are great! SUSHI IS LIFE.... Fanny, send me to Japan please! I just ate and now I feel starving :P btw you missed one caption of one of the dishes. This looks delicious! 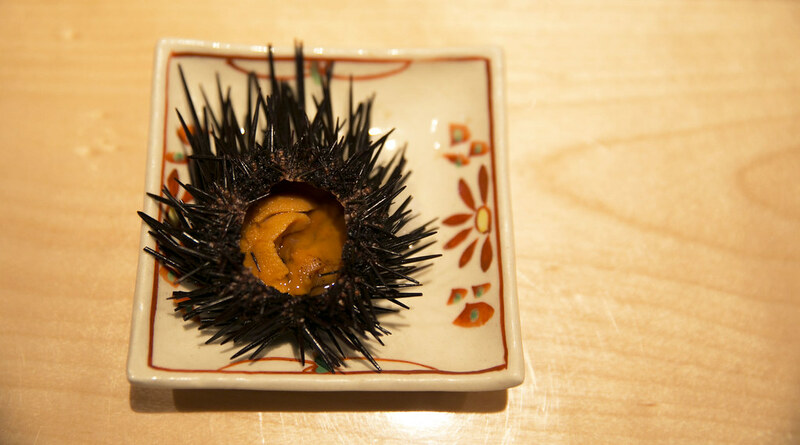 I love Japanese food! I'm super hungry now. :( Great post! Wow every dish looks exquisite! 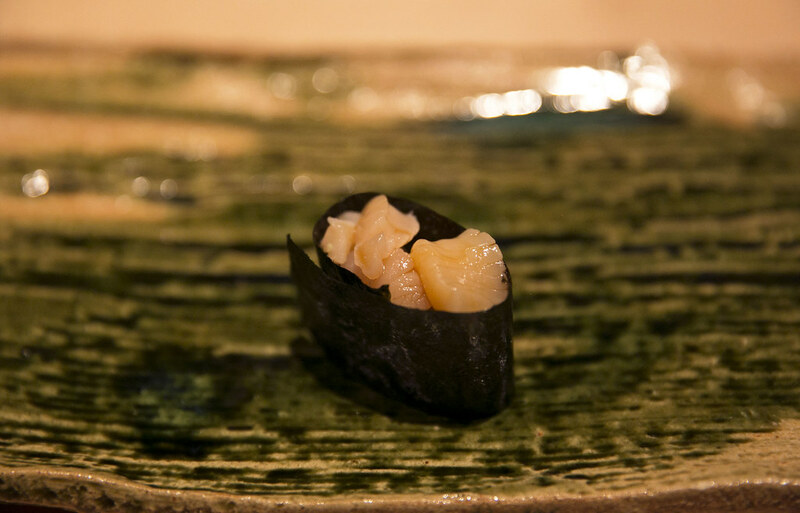 I've had monkfish liver at a sushi restaurant in Frisco, TX. I wish I could remember the name of the place. It was very light. 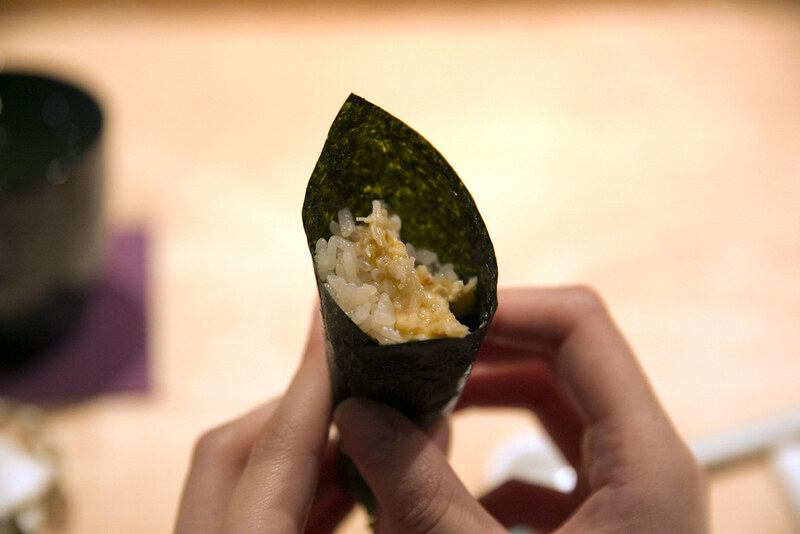 I love to try new flavors - not everything has to be California rolls. Looks yummy! I love the photos! Wow! I would love to visit Japan! Cant wait to try sushi! 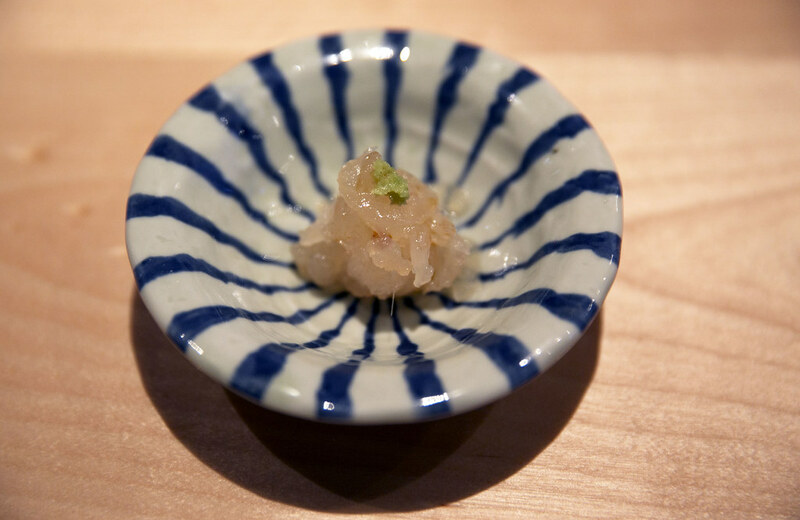 Really fancy small dishes ! 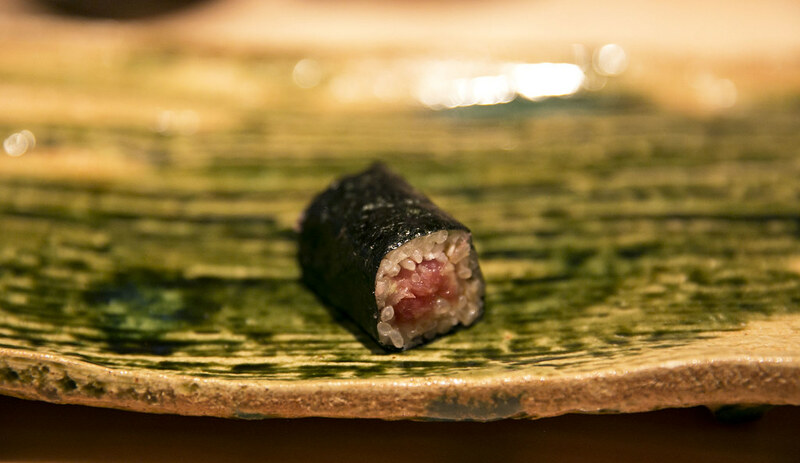 This is some interesting Sushi. I would love to check this place out. Fancy and delicious looking foods. One chef?!?! I imagine it is VERY limited seating! That is quite a feat for one gentleman.